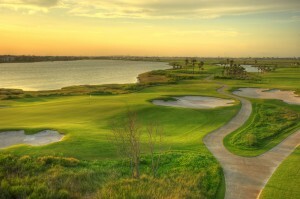 Moody Gardens Golf Course’s All-Inclusive Package is Hard to Beat! 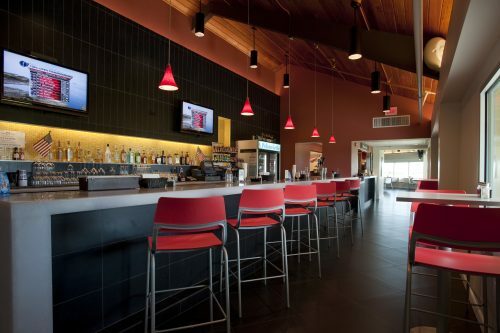 What’s better than some time at the range, a few hours on the green and unlimited food and drinks? * Getting all that, and more, in a value-packed All-Inclusive Package. And, you don’t have to look further than Moody Gardens Golf Course to get an impressive deal on the island. The package includes the 18-hole green fee and cart rental, one dozen golf balls, a bucket of range balls and unlimited food and drinks, alcohol excluded, all for $100 per person Monday – Thursday. Golfers can get the same deal for $125 per person Friday-Sunday and on holidays. Free replay round is subject to availability and tee time reservations are required. 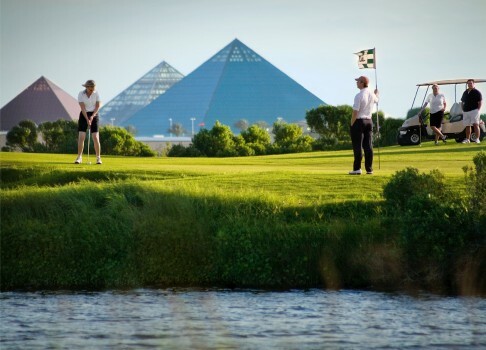 Moody Gardens Golf Course features stunning views, green fairways and a gulf breeze, making it one of the most popular public golf courses in Texas. Jacobsen Hardy Golf Course Design, a renowned firm drawing on the expertise of PGA Tour professionals Peter Jacobsen and Jim Hardy, completed work in 2008 on the $16 million renovation to the new par 72 course. The island course has earned numerous honors, including GolfNow ranking it as the third-best course in the Greater Houston area. GolfNow’s ranking was based on ratings and reviews from thousands of its website’s visitors. The site’s users have given Moody Gardens an average rating of 4.5 out of 5. The island course also earned a “Recommended by TripAdvisor” status. The course rivals three of the state’s best municipal venues, Memorial Park in Houston, Tenison Highlands in Dallas and Cottonwood Creek in Waco. Measuring 6,816 yards from the back tees, the golf course is designed to be player-friendly, with five sets of tees to accommodate all playing abilities. Take advantage of the All-Inclusive Golf Package and start your morning off at The Pelican Grille with a hot and fresh Breakfast Taco with bacon, breakfast sausage, bacon or potato, topped with fresh salsa and cheese. For a lighter lunch, choose from On the Green, which features a refreshing Garden Salad, Chef Salad, and Caesar Salad. Grille Favorites include a Buffalo Chicken Wrap, Shrimp Po-Boy or Wrap, Peninsula Cheeseburger or The Birdie Panini. Visit our website for more! To reserve a tee time, call 409-683-4653. Times may be booked up to two weeks in advance. You can also visit www.moodygardensgolf.com for more details on the course. *Please note: the All-Inclusive Package excludes alcoholic beverages.